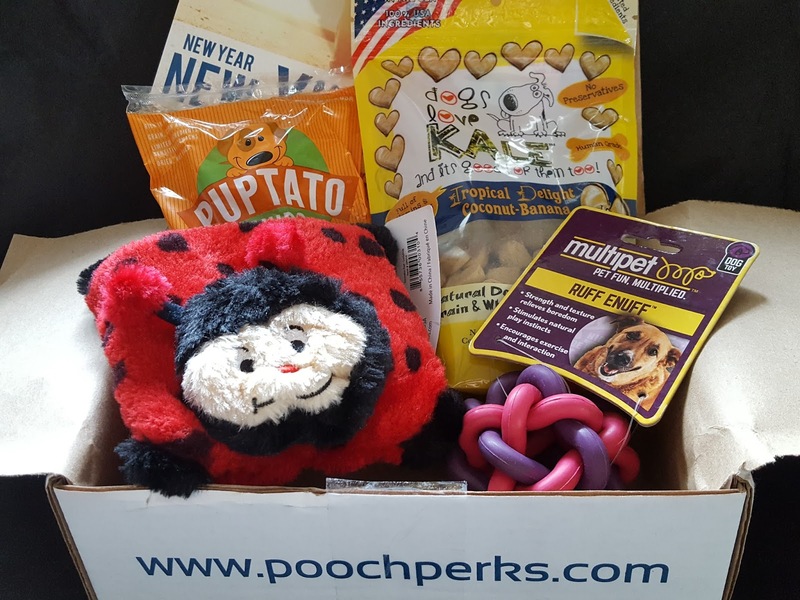 What: Pooch Perks is a subscription box for dogs containing 2-6 treat, toy, or hygiene items. There are three subscription tiers; boxes within each tier are curated according to your dog's size. You can also make special requests (heavy chewer option, allergy-conscious, box frequency changes) when you sign up. For reference, this review is for the Popular Pooch box (4-5 items) for a medium/large dog (35lbs+). Fun Fact: Want only treats or just toys? You can sign up for that for just $20/month! Also, $1 from each box goes to rescue groups. You can learn more about how Pooch Perks gives back here. Dogs are smart cookies; mines know when they get boxes in the mail the second I walk in the door. I know they have good noses, but jeeeez sniffing out treats from 15 feet away when they're still sealed in a package and a box is quite impressive. This month's Pooch Perks day was no exception, and although I've succeeded in holding them off for the past week since it arrived I can tell they're growing more impatient with each passing day. Sorry pups, momma's gotta finish this post first. 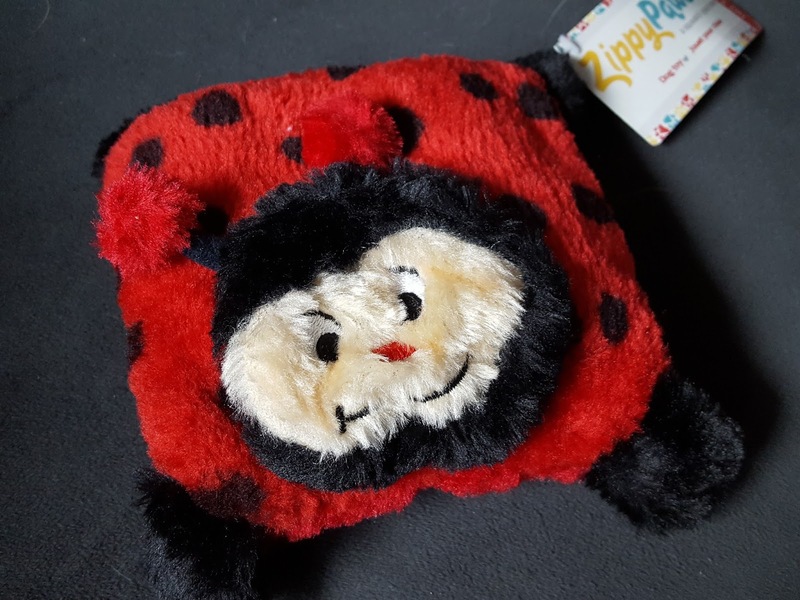 ZippyPaws Squeakie Pad Ladybug ($6) - If you love your pup but HATE cleaning up stuffing after Rover beats his stuffed animals to death, you'll appreciate these stuffing-free toys. They have all the cuteness with none of the mess. All that's inside here are two long Blaster squeakers for honkin' fun. Unfortunately, my dogs like to tag team. Macho de-stuffs, Pebbles de-squeaks. I don't know where she learned it, but she knows exactly how to find the little squeaker tube no matter how hidden it is and remove it from ALL of her toys. Puptato Chips (2oz, full size, $5) - Dried sweet potato with a bit of dried chicken liver for flavor - that's all that goes in here! 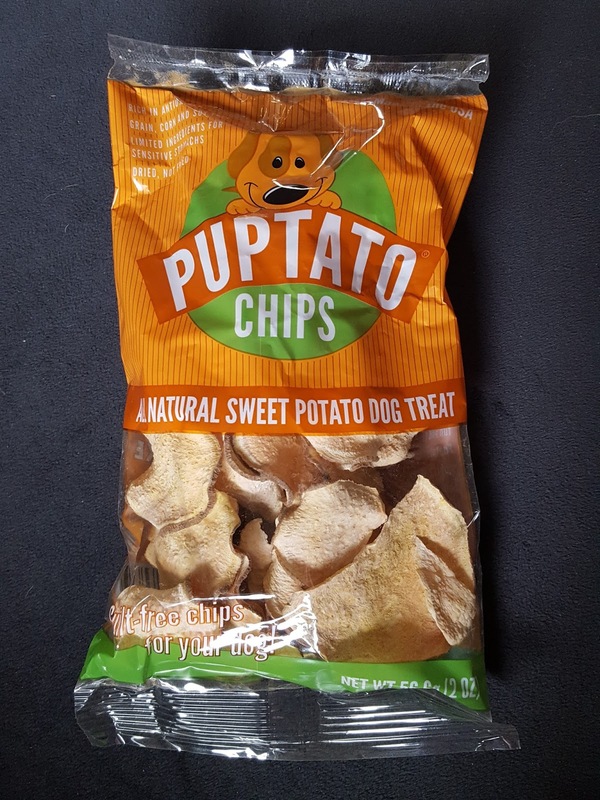 Both of my dogs love these chips and I don't have to feel bad about giving them more than one because these are dried and not fried. Dogs Love Kale Tropical Delight Coconut-Banana (6oz, full size, $9) - Believe it or not, they do. My dogs love kale. They also love to eat salad greens. I guess when you're a dog any human food = good food. 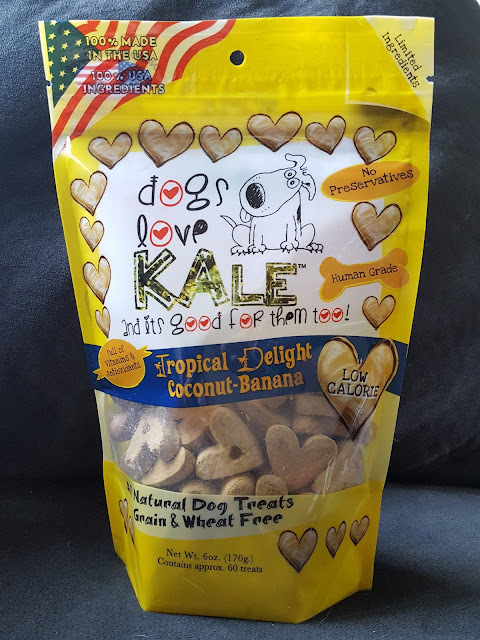 The green bananas used in this treat are good for dogs' coat, digestion and muscle tissue, and coconut contains lauric acid which helps boost their immune system. Click here to subscribe to Pooch Perks. 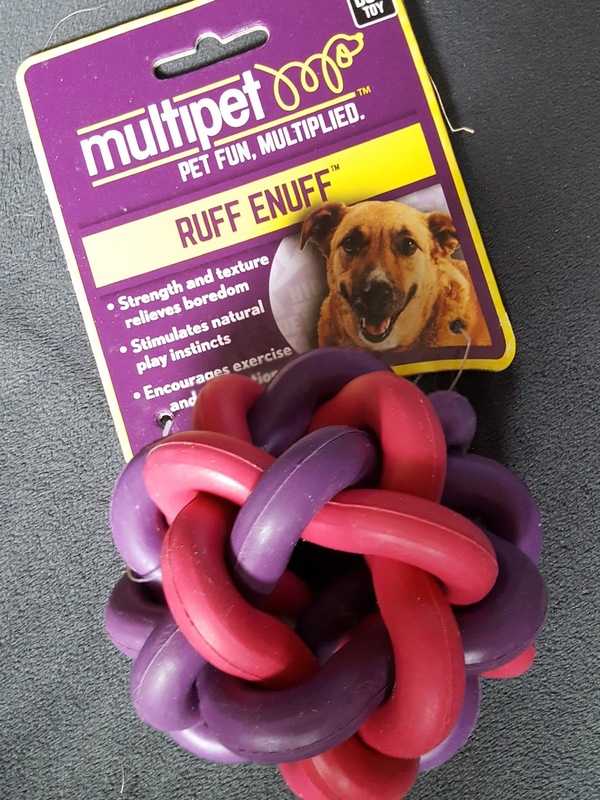 Your dog will love you for it, promise! Also, don't forget to use the code FRIEND10 to get 10% off your first order.